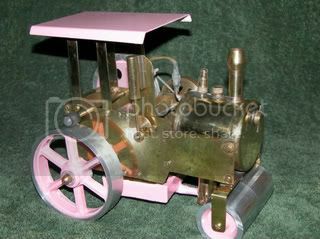 Well I have finally finished my version of a replica of a Renown Steamroller. A toy that was made in the early 1950's in Australia. I had one as a youth and decided to build a copy. This roughly replicates the original. many sizes are far different and had to make some parts several times to get them to "fit" what it should look like. I am sure it is oversize by about 5- 10% in some places. 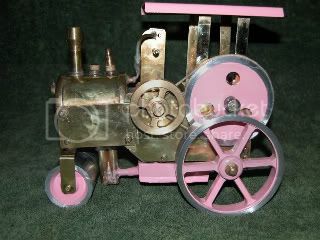 This is my first project into model engineering and I have learnt a lot. It was being made for my grandson , but my 15 year old granddaughter has claimed ownership hence the colour. Well that looks very good Barry, have you any more photo's of it, or any more details? Is it a steaming model? Any video of it running? A first project? 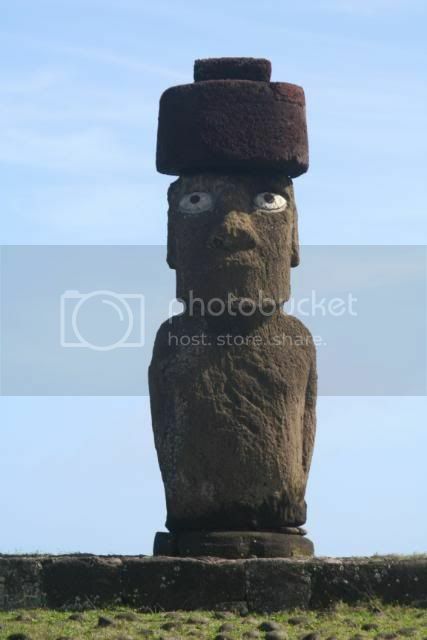 That looks close to an original, Barry! Since this project is for a female I'll have to call it "cute". Very nice job for a first engine. Thanks for you comments . The Mk2 model has been started with a 10mm smaller rear wheels to start with, boiler to be slightly longer , smaller roller diameter at the front, different design of fuel tank and finally different colour scheme will be the main visible differences. Yes it is a streamer and runs, probably a true stream roller travels very slowly. I don't have a video of it at the moment, may do that with Mk2. I took a couple of photos in the early stages but when I had so many false starts on making parts, I was more interested in getting remaking parts that photography. I MAY do a build log on Mk2 as I now know how to go about things and hopefully no remakes. Good job Barry Your grand daughter is one lucky girl! I don't know how to put a video in here so here is the link to you tube. BTW the unit weighs just over 2kg and the cylinder is 5/16" diameter with a 1" stroke so the engine does pretty well really. I would certainly like to see plans for that. Grandkids would appreciate it. Far superior to the 60mph Mamod toys. There are no plans as such. It was originally scaled off a couple of photos of an original. Also some drawings and dimensions were supplied by the owner of an original. This helped considerably, but then found out the original had a 2.25" diameter boiler and I was committed to 2.5" boiler. So things like this made thing interesting and required remake of various items. I have made some drawings in dft format so I can reproduce some of it . After getting it to run I have found the rear wheels are too big so the next one they will be 88mm instead of 100mm. The reason this one has 100 mm wheels is that was the size of stock I could get. But it is too high geared. The roller was made on mini lathe and mini mill.